Sometimes filler episodes are fun, sometimes they don’t add a lot to the overall arc. Sadly, the latest episode falls into the latter category. But at least we got some brotherly confessions out of the deal, even if this Valentine’s Day didn’t live up to the last. 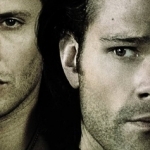 With the trend of the Winchesters’ Valentine’s Days, I was hoping for some “Dean gives Sam a bloody heart”, as has been the trend. Bloody hearts, yes. Declarations of brotherly love, not so much. But at least Dean celebrated Unattached Drifter Christmas with his usual level of commitment. He’s a man on the prowl and ready for a one-night stand. 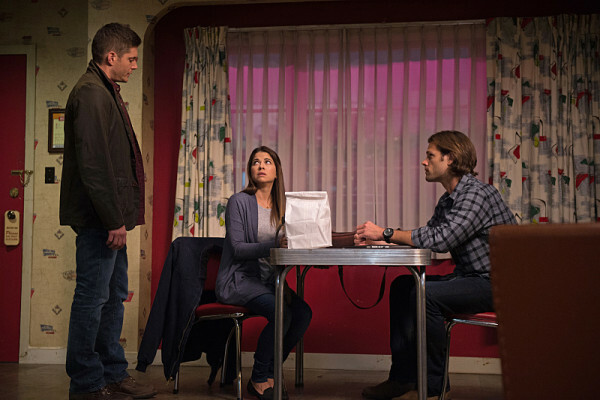 However, I was a bit confused as to why we had to revisit all the old holiday episodes at the start, since the Creepy Christmas Couple had little to do with Heart-Rippers, but I guess we needed to be reminded that the Winchesters never have a normal holiday? The babysitter / husband combo was expected, though I did like that the curse was passed on like an STD though the lipstick. Stupid Dean putting himself on the line again, though. Why must he try to kill himself over and over again in the name of saving people, hunting things, the family business? He needs to understand that he’s worth just as much as anyone else. In terms of the case itself, I feel like they could have stretched the shapeshifter consideration out a bit longer. I already knew it wasn’t the husband, even though you could tell it was his hands when he was strangling the babysitter, so why not show a couple more interactions with the monster before the kill? I feel like there’s no mystery anymore in these types of cases. 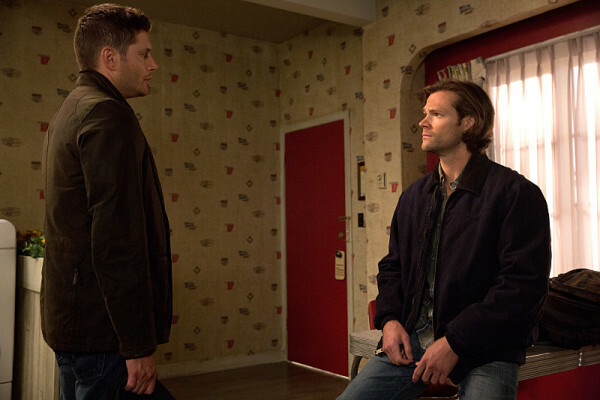 One good thing that came out of the episode is that we see Dean’s not trying to keep secrets from Sam anymore. He could have just pushed it off and pretended he saw his deepest desire in the form of Daisy Duke or some other hot woman, but he admits it was Amara and how scared it makes him with the control she has over him. 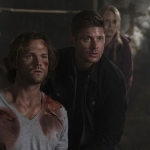 And while Sam understands and wants to assure Dean he has his back, you can see the weight of the world dropping on his shoulders in that last scene. As if he didn’t have enough issues with his Lucifer flashbacks, now he’s got to make sure his brother stays safe, doesn’t fall under the lure of God’s sister, and figure out a way to kill her before she kills the world. No biggie, right? I’m more than ready to get back to the arc now. Some detours are nice, but it’s not a way to sustain interest long-term. 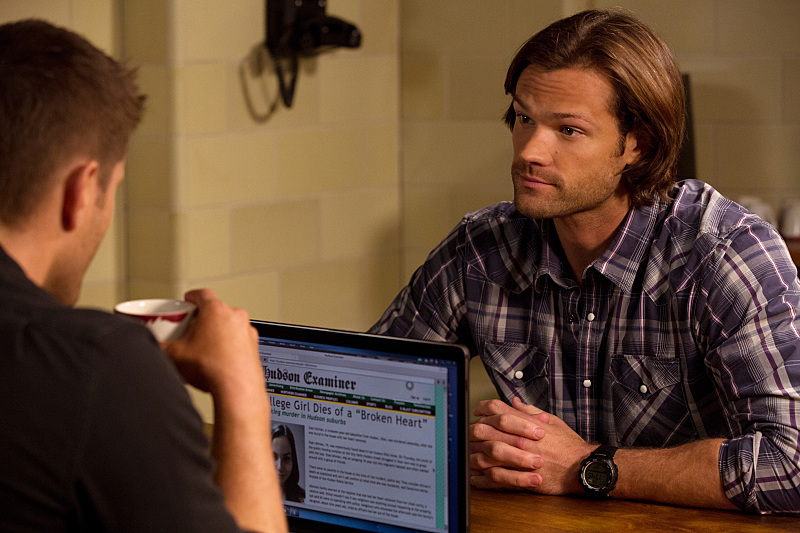 What lengths will Dean go to in order to escape the lure of Amara? And will they succeed? Or is the weight of this battle solely on Sam? He doesn’t even know about the new wrinkle of Cas housing Lucifer, so there’s yet more problems ahead for the younger Winchester. When the battle comes, there’s no one the brothers can count on but each other. I hope it’s enough.